Ben Coffin hasn't has an easy life. His parents were both killed, and he spent his first ten years in a group home, until he was adopted by his mom, Tess. They have a cozy life on Coney Island. Ben has his friend Chucky, favorite librarian Mrs. Lorentz, and her daughter, Halley. Soon, he also has a dog who (after much travail) he calls Flip. 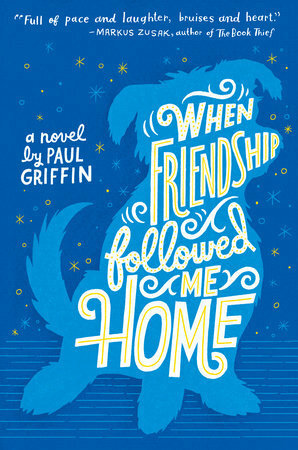 When an unexpected occurrence lands him with his Aunt Jeannie and her alcoholic husband, things are rough, but training Flip to be a service dog distracts both him and Halley, who is undergoing chemotheraphy for cancer. Things go south at Jeannie's, too, and Ben spends a lot of time at Chucky's house. Eventually, he ends up living with the Lorentz's, where he enjoys hanging out with the father, who works as a magician. Halley doesn't improve, and Ben learns some difficult lessons about life. Strengths: This was generally a positive book, despite the various sad events. Ben doesn't dwell on the bad things in his life; he tries to embrace Tess's philosophy and keep moving forward. The book was well written, the characters were engaging, and this was a quick read. Weaknesses: So much sadness. I just knew all of the bad things that were coming. What I really think: I'm going to buy a copy. It's got a good cover, has enough funny moments at the beginning to hook readers, and will be good for the increasing numbers of children who are asking for sad books like Wonder. Yes, I am getting more and more of them. Sigh. Just to prove that "the familiar, even if it is not ideal, if what we love best", I have an all consuming desire right now to read Journey on a Runaway Train. The premise looks absolutely ridiculous. Really? A secret society to return artifacts to their rightful places? Why do we need that, exactly? Clearly, so the children can run about doing this with minimal adult supervision. And yet, I want to read this so badly! At least there is an E ARC of it available through Edelweiss! Warner, Gertrude Chandler (creator). Journey on a Runaway Train. 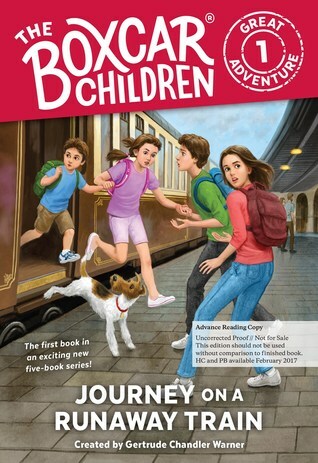 "In this all-new very special mini-series (five books long), the Aldens have been recruited by a secret society to return lost artifacts and treasures to their rightful locations all around the world! After finding a painted turtle figurine, the Aldens are introduced to the Silverton family and Reddimus Society, a secret guild whose mission is to return lost artifacts and treasures to the sites they were taken from. The Aldens board a private train to New Mexico to return the turtle to its original home, and they encounter enemies of Reddimus along the way! The trip is a success but instead of returning home, there s a last-minute change in plans. 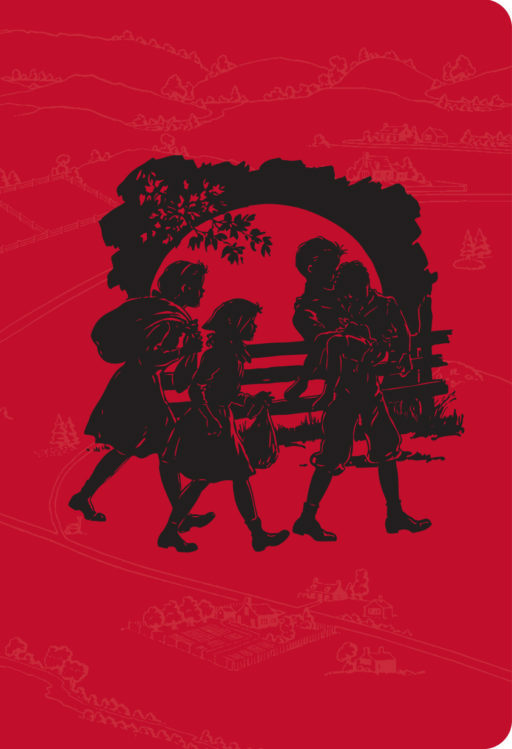 The Boxcar Children must continue the mission for the society and deliver more things, all around the globe!" And look, there's even a Boxcar Children journal! Why do I want this? Looks like a spawn of The 39 Clues--secret worldwide societies, exotic locations, old artifacts plus interesting and educational information about different places around the world.